I sometimes find myself roaming around the gym scoping out guys in tank tops and muscle shirts for the sole purpose of checking out their armpits. 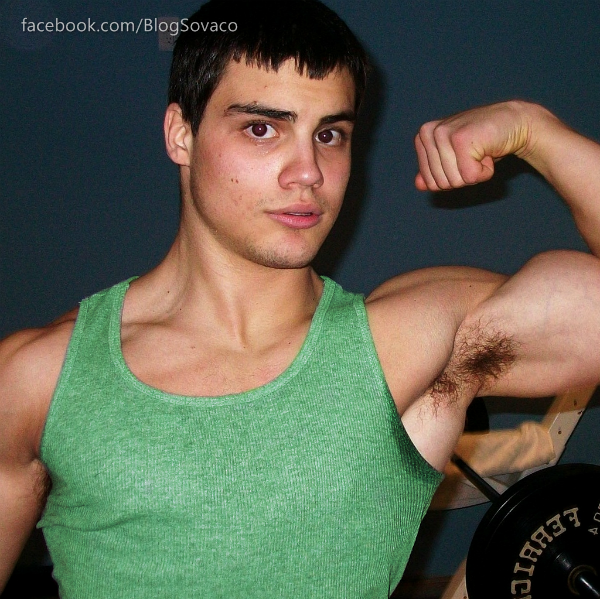 I get excited when I see guys like this where his pits are sweaty and stained his shirt. That fresh man musk right from the tap! Must smell so good. WOOF!